Endorsed the Nebraska Lutheran Outdoor Ministry’s Faithfully Forward Campaign. Authorized the Executive Committee to oversee and release extra-budgetary funds granted by the Immanuel Vision Foundation. Recommended recognition of the South Sudanese Lutheran Worshiping Community at Messiah Lutheran Church in Ralston as a Synodically-Authorized Worshiping Community of the Nebraska Synod. Endorsed the proposed “Cross at the Heart” capital campaign of Nebraska Lutheran Campus Ministry (NeLCM) for the construction of a new Lutheran Center on the University of Nebraska-Lincoln campus. Approved annual appointments to various Synod committees as recommended by the Nominating Committee. Agreed to study and consider consolidation and coordination among various seminary scholarship funds and programs. 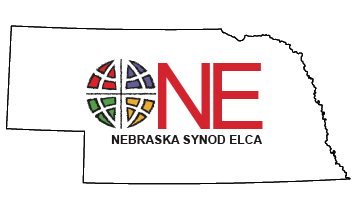 Agreed to study and consider coordination and information sharing of all fundraising campaigns of Nebraska Synod serving arms agencies.